Carrie Fisher's One-Woman Show "Wishful Drinking"
The role that shot her to fame. Actress, screenwriter and novelist Carrie Fisher was born to celebrity parents -- Eddie Fisher and Debbie Reynolds -- and cast by George Lucas as a princess from a far away galaxy at the age 19. Before sending us ‘Postcards from the Edge,’ she was married to Paul Simon. Her life story is now the basis for a one-woman show, ‘Wishful Drinking,’ which is enjoying a return engagement in the Bay Area at the Berkeley Rep. This current production playing in the Roda Theatre ends on July 23 and is leading to a Broadway production scheduled to start this September in New York. Her stories are as wry as her published work and need no embellishment. From having Elizabeth Taylor as a stepmother, to battling addiction and managing manic depression, Fisher’s life and successes over the course of a demanding career provide many compelling tales. 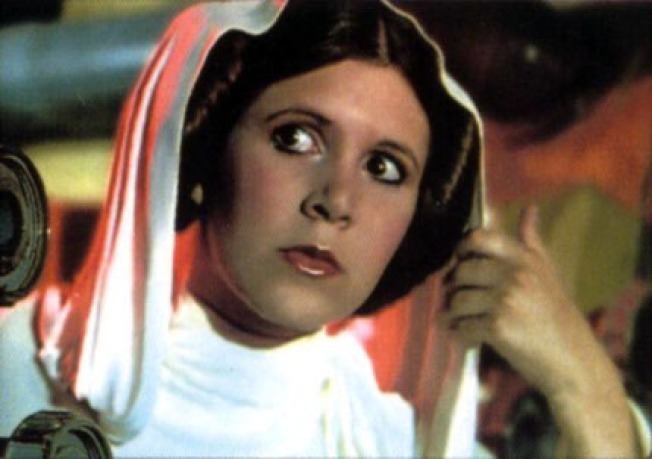 In the embedded video clip, Fisher talks about the show’s humor, the audiences it has attracted and how she’ll always be Princess Leia. "If my life wasn’t funny it would just be true," says Fisher. "And that’s unacceptable. So that’s what the show is. It’s making things that aren’t funny… funny." Laurence Scott was dangerously close to congratulating Carrie for not being involved in any of the final three Star Wars films.